Wing and Ling are two architects who share a peaceful personality and pay good attention to details. 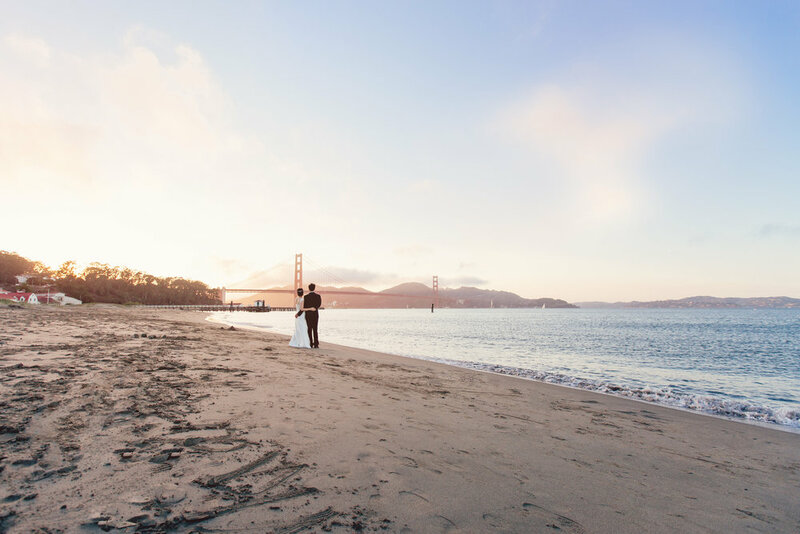 We started their pre-wedding photography on an early morning in Baker Beach in San Francisco. It was a good timing during the day when the beach was quiet and the crowds hadn't arrived. 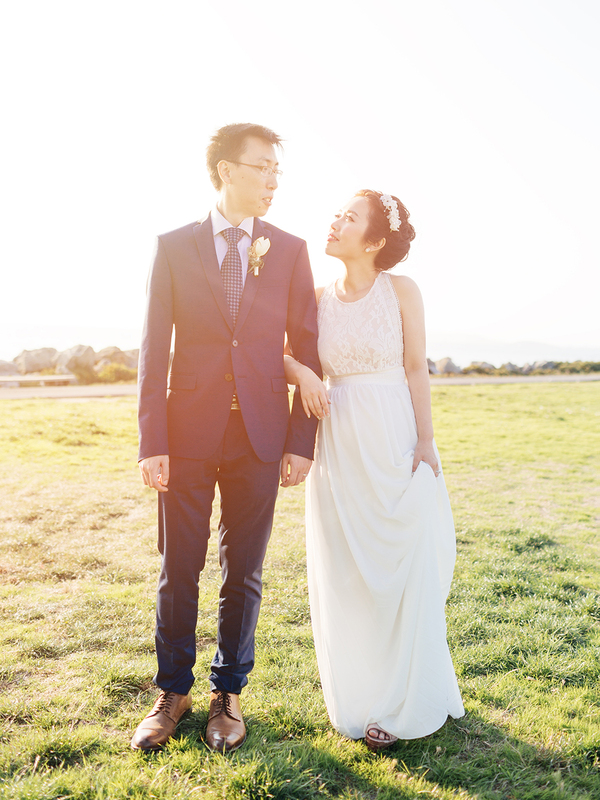 We then met the couple again in the afternoon on the same day to take pictures of their reception in a restaurant in Emeryville. 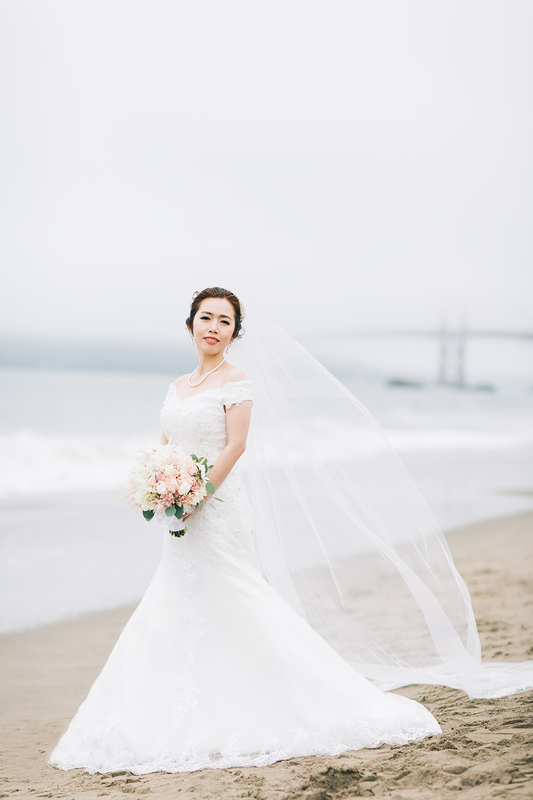 The restaurant sits right by the ocean and is surrounded by an overlook of San Francisco. We took the couple out for portraits around and the sun light was just as good as one can imagine. We love both of their outfits and they absolutely look gorgeous in the pictures! 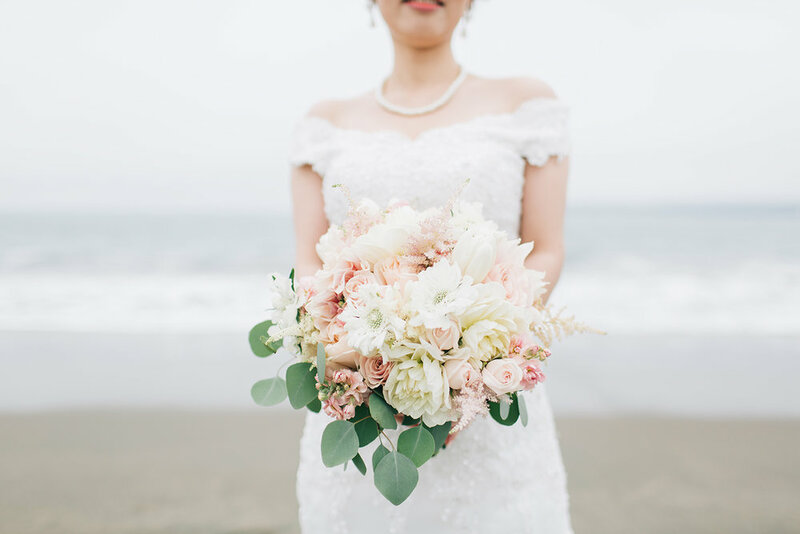 Carmel’s naturally romantic vibes and gorgeous shores make it one of our favorite spots for outdoor sessions. 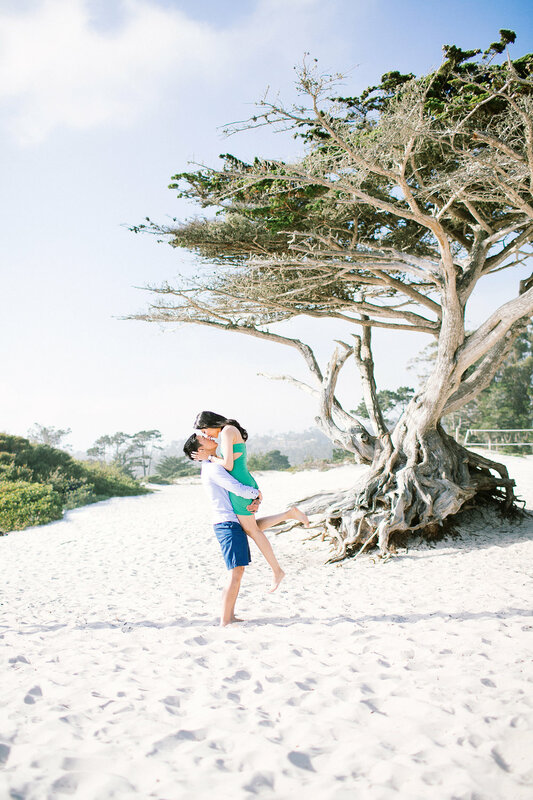 So when Mia picked Carmel and the Big Sur to do her engagement shooting, we were excited. 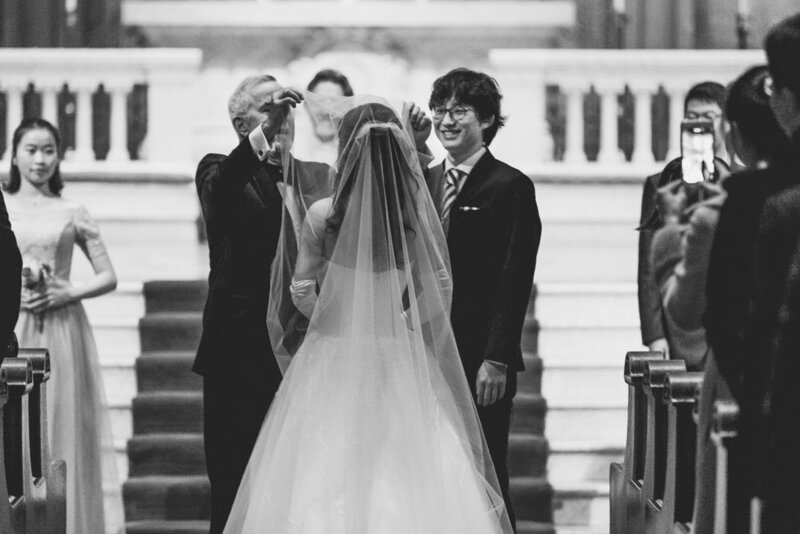 Mia and Albert are not only absolutely adorable, they are also truly the sweetest. 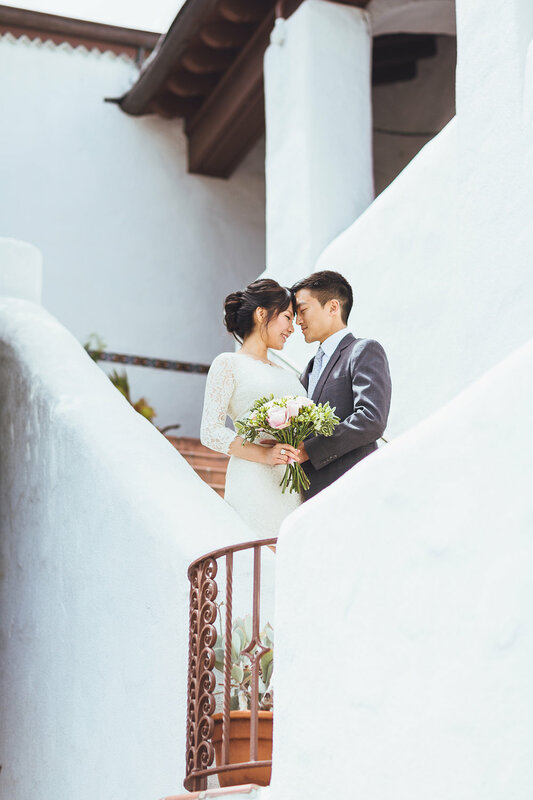 It was one of the most smooth and stress free shooting experience we ever had, as both Mia and Albert acted truly naturally and had fun in front of our cameras. Can’t wait for their wedding in July! We are looking back to when we just started the studio. 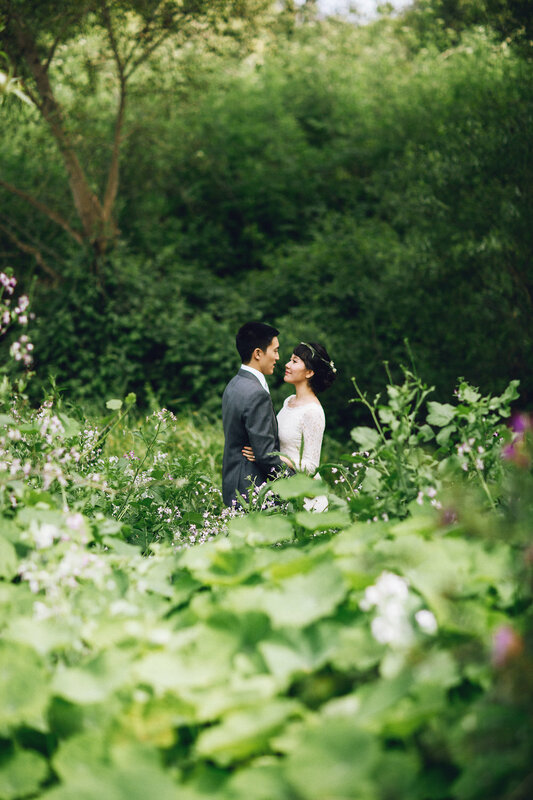 Ning and Rui were one of the first couples we photographed. 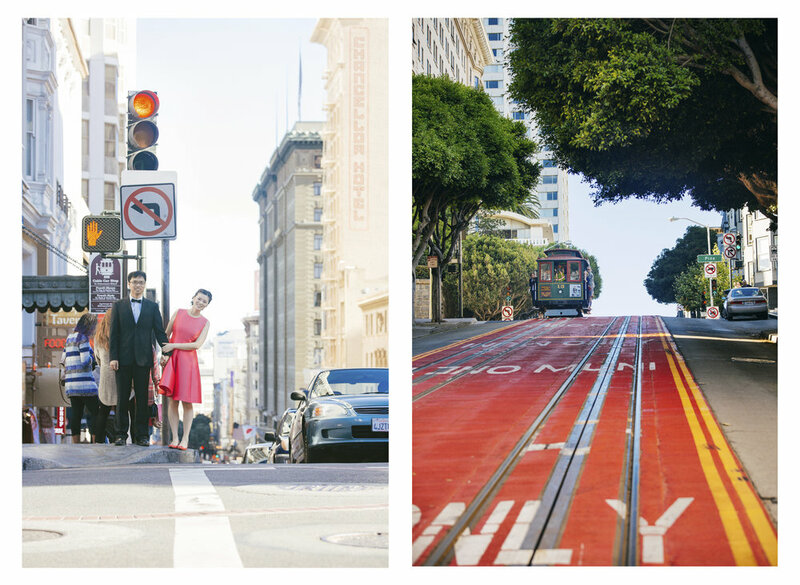 We are honored to document both their engagement sessions and wedding. They have become friends to us from then. 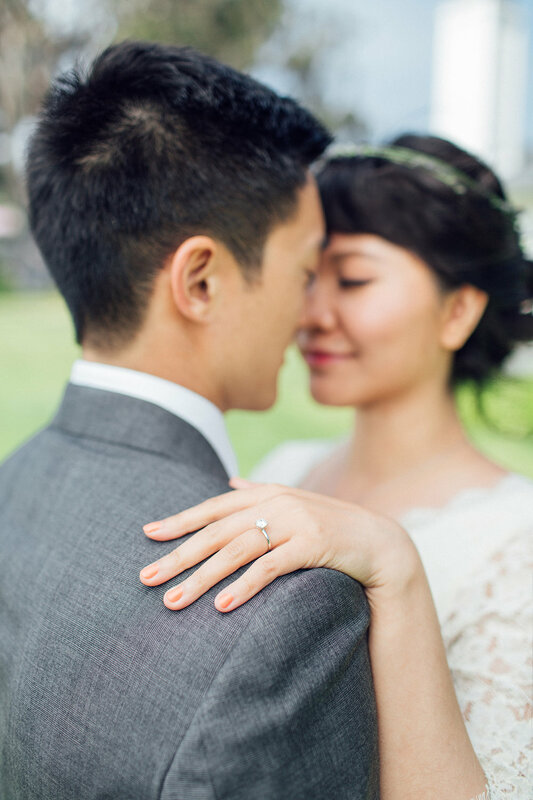 We knew that it was made in heaven once we saw this couple, but what we didn't know is that we would get to continue to photograph Ning and Rui into their journey of parenthood when later these two came back to the studio for the maternity session. 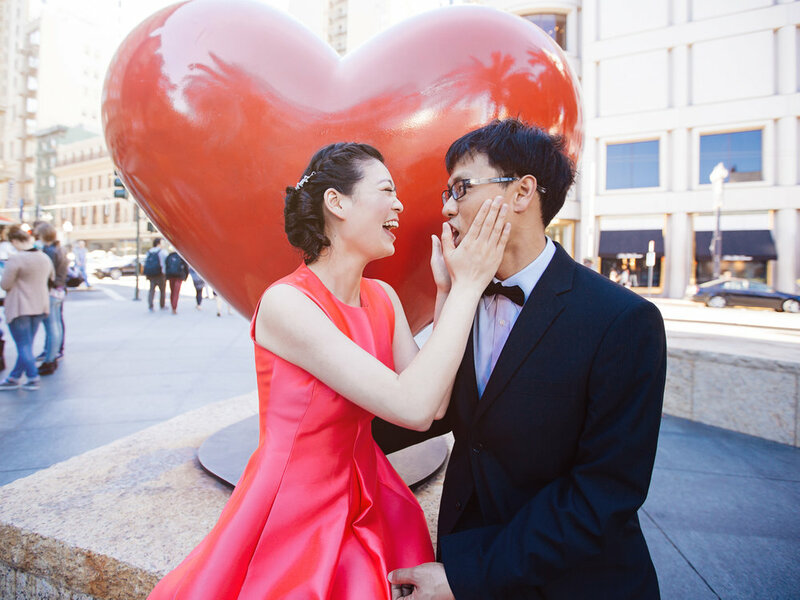 We appreciate your trust Ning and Rui and we treasure getting to be a part of your beautiful story. 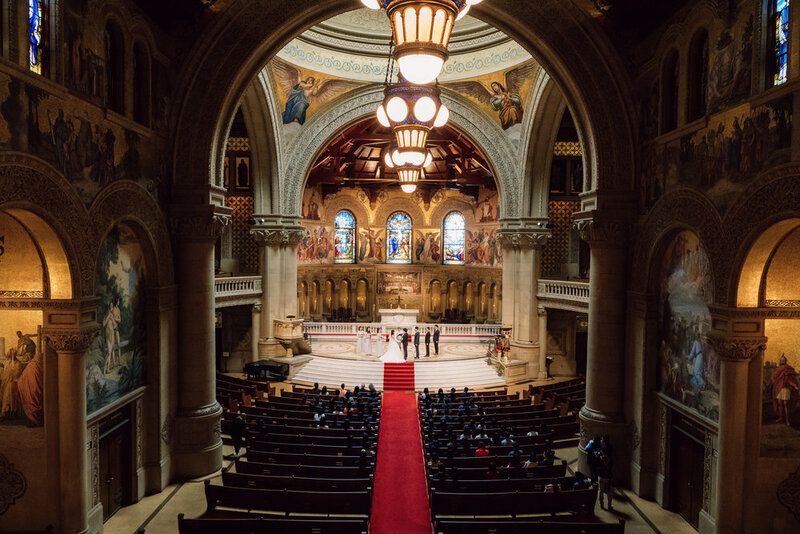 Mandy and Long’s wedding was at the stunning Stanford Memorial Church. 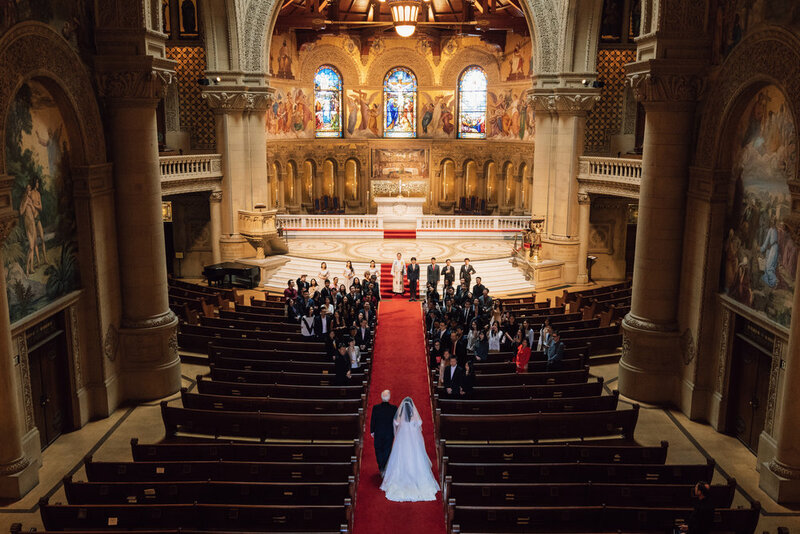 As an alumni of Stanford University, no other places can be more special and meaningful for the wedding ceremony. It had rained for days before the ceremony and the sky totally cleared on wedding day! Such a bless! 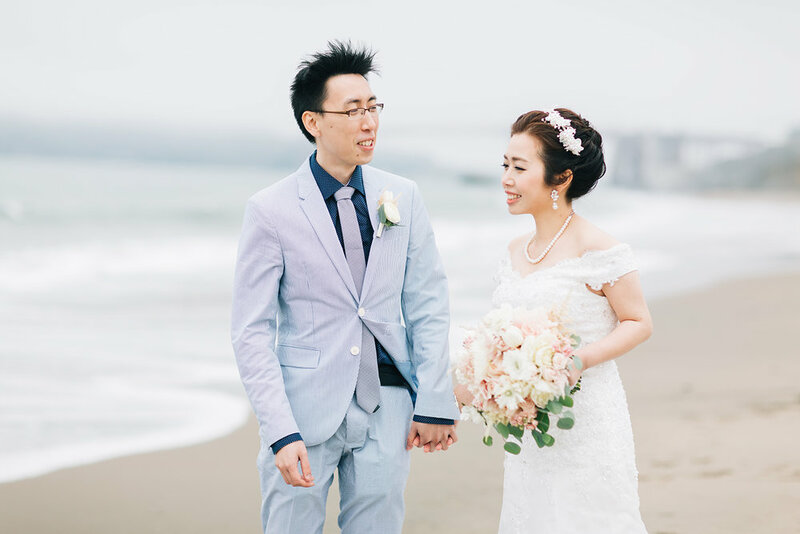 Jing and Da's lovely shoot was taken at the fairytale beach city, Carmel. The weather can't be nicer on that day. 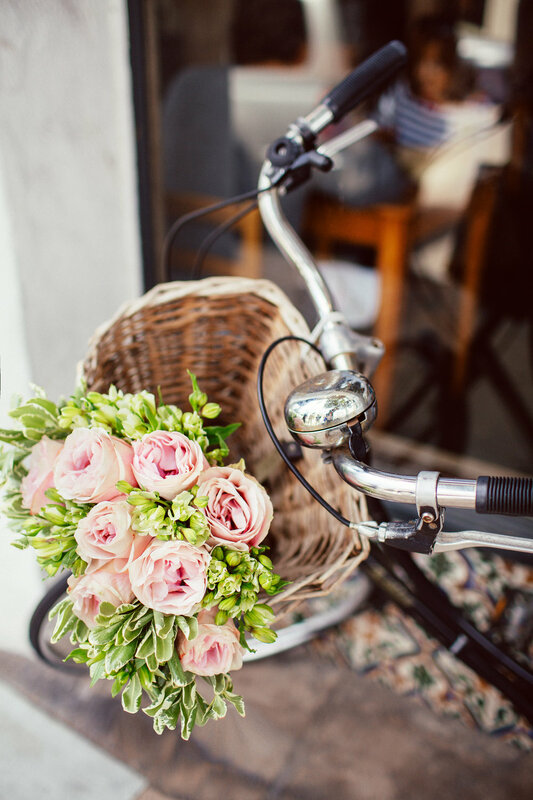 So glad that we got to document their sweet moments and spend the day in Carmel with the blessed couple and their cutest puppy, Summer!